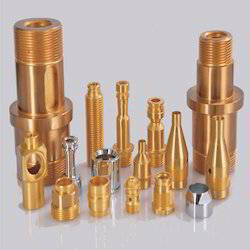 Offering you a complete choice of products which include cnc turned parts. Supported by our sophisticated infrastructure, we are capable of providing a large gamut of CNC Turned Parts to our valued clients. These are ideal for highly customized precision components and can be made very effectively in various Metals like Brass, Stainless steel & Mild Steel, and Aluminum. Apart from this, we assure safe and timely delivery of these products.